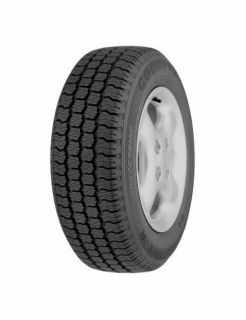 This tyre allows van drivers to experience confident driving on wet and dry roads. The 4-rib design spreads loads evenly across the tyre surface for improved handling and enhanced wet grip. The wide tread crown feature of the tyre, also ensures consistent wear, which means a longer lasting tyre. Wide tread grooves disperse water quickly which help prevent aquaplaning. The wide tread design also helps to move heavy loads comfortably without sacrificing handling.